The Florida legislature is looking to get more serious about drivers who refuse to undergo breath, blood or urine tests when suspected of impaired driving. 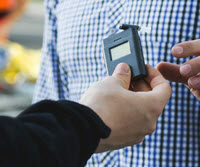 If you are involved in an accident and the other driver is asked to take a Breathalyzer or another test to determine blood alcohol level, and that person refuses, chances are you are facing a legal battle. Having a good personal injury attorney in your corner is a good idea. So why the move to come down harder on individuals who refuse testing? In recent years Florida has seen a number of drivers refuse Breathalyzers, blood and urine tests so as to avoid providing evidence that would clearly incriminate them. One such case involved a circuit court judge who snubbed the Breathalyzer after being pulled over. In her case, she was still found guilty of DUI and reckless driving, and ended up with a sentence including house arrest, wearing a tracking monitor, probation, loss of driver’s license, and hefty fines and court fees. In a similar case that resulted in an acquittal, a county commissioner refused the Breathalyzer test after confessing to having had two alcoholic beverages, stating he did not trust the Breathalyzer and did not feel he was impaired. Possibly in response these and similar cases, State Sen. David Simmons filed a bill boosting penalties for refusal to submit to tests from the current 1-year driver’s’ license suspension to an additional fine ranging from $500-$1,000, 4 points on their driver’s license, and six months probation. And that is just for a first offense. If someone refuses blood alcohol tests after a second incident, one would be charged with a misdemeanor and potential prison time, in addition to fines. To ensure driving doesn’t occur after drinking, all vehicles owned or leased by the offender would have to be fitted with ignition locks for one year. Drunk driving is, after all, a significant problem in Florida. In 2014 alone, there were over 30,000 DUI arrests, and 23,291 convictions. Over a quarter of all traffic deaths occur in conjunction with a blood alcohol level at or exceeding .08. Taxpayer subsidies related to these fatalities exceed $3 billion. Professional grade Breathalyzers are considered to be extremely accurate. Florida law has strict requirements surrounding their use. If the two test results are not within 0.02 of each other, a third test must be given. Florida statute compels Floridians to undergo blood alcohol level testing if arrested for driving offenses. This implied consent is attached to anyone who operates a motor vehicle. If you are involved in an accident and the other driver refuses testing, it does sound suspicious. The attorneys at the Law Offices of Robert W. Elton know how to intervene in cases such as this. Contact our experienced legal team today for a free, confidential consultation.